WELCOME TO THE ASSOCIATION OF RAZA EDUCATORS WEBSITE! Register for the 2019 A.R.E. conference in Los Angeles! 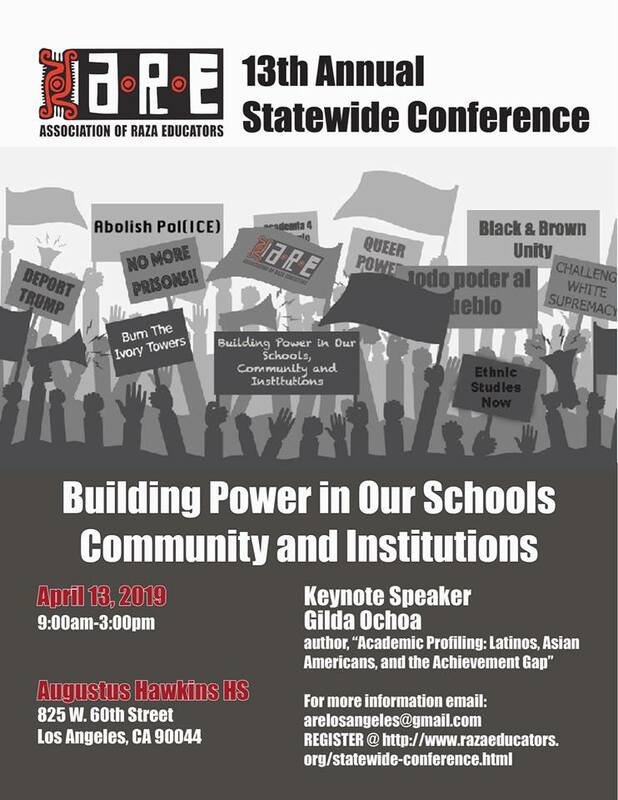 Join the Association of Raza Educators! Our organization has chapters in Los Angeles, Sacramento, and San Diego. If you would like to join A.R.E. or start a new chapter in your city please click on the link below. Donate to our Undocumented Student Scholarship Fund! A.R.E. believes education is a human right. Every year we donate thousands of dollars in scholarships to ensure that our undocumented sisters and brothers can seek higher education. Please click on the link below to make a donation.